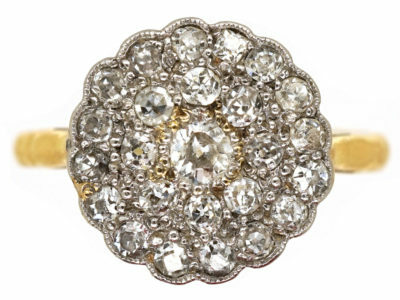 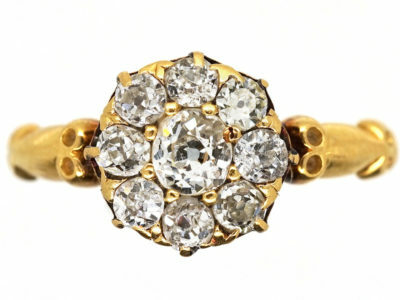 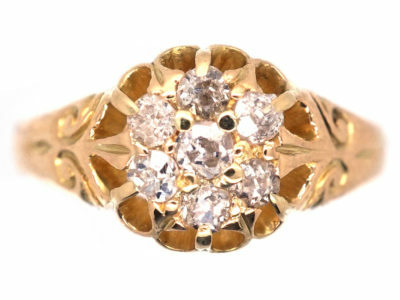 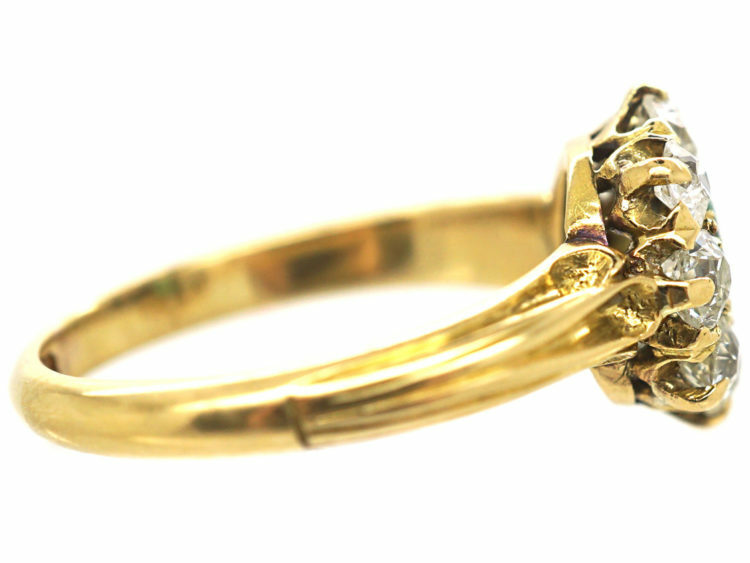 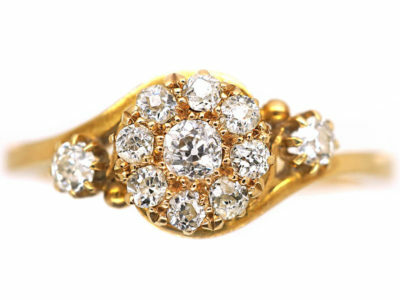 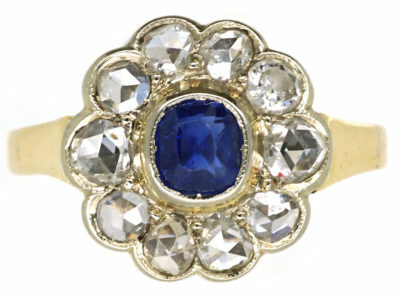 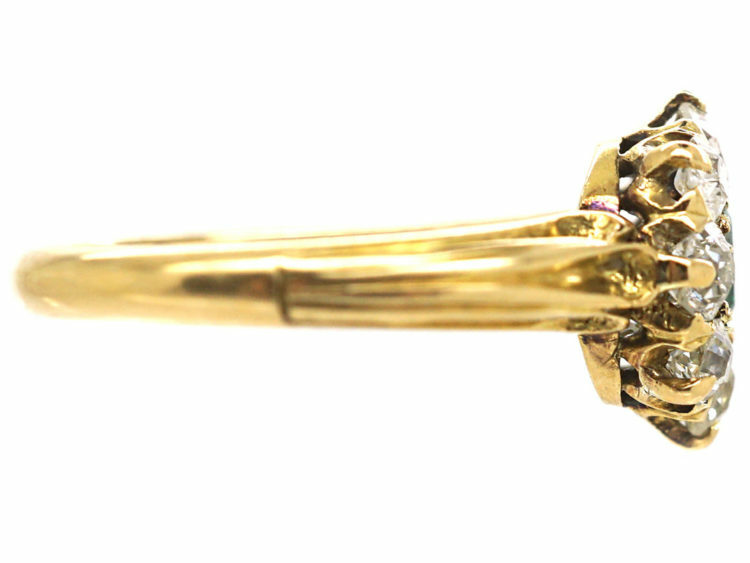 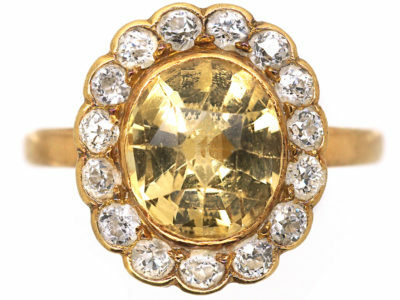 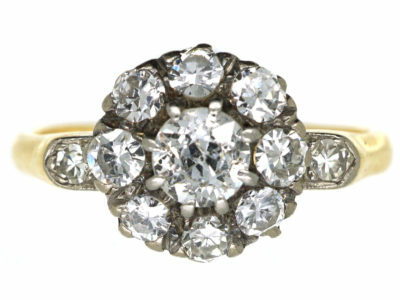 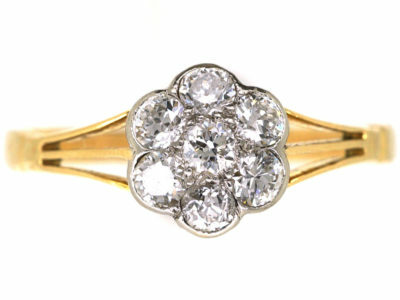 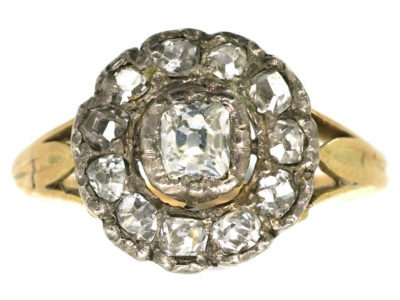 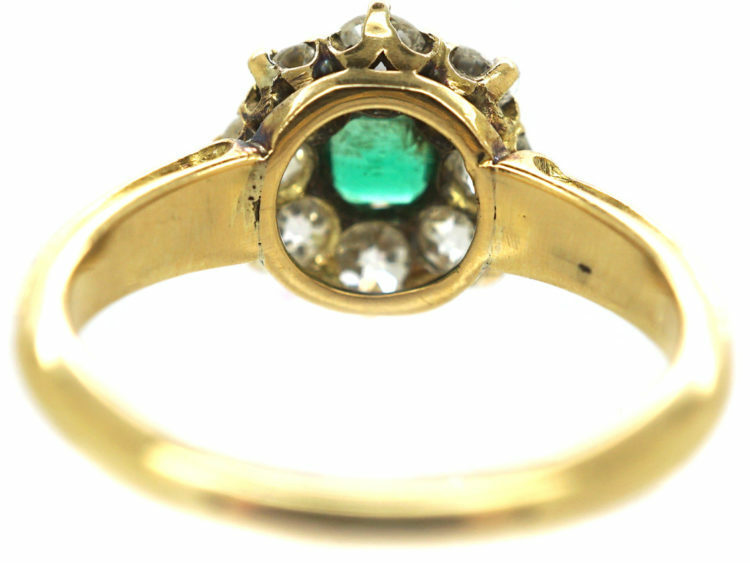 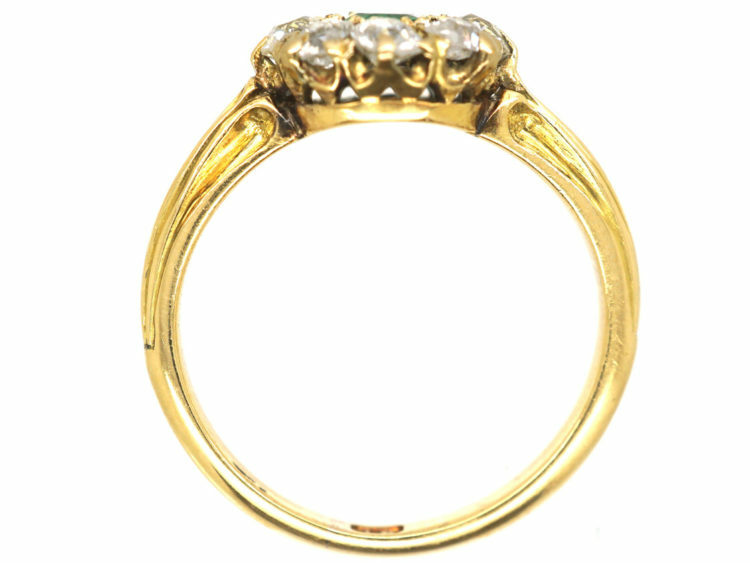 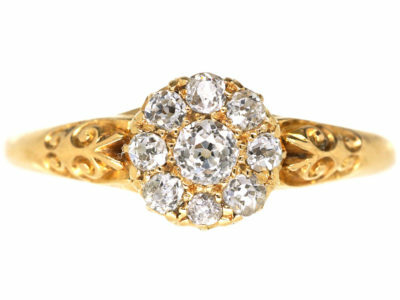 A neat and pretty 18ct gold ring that was made circa 1900-1910. 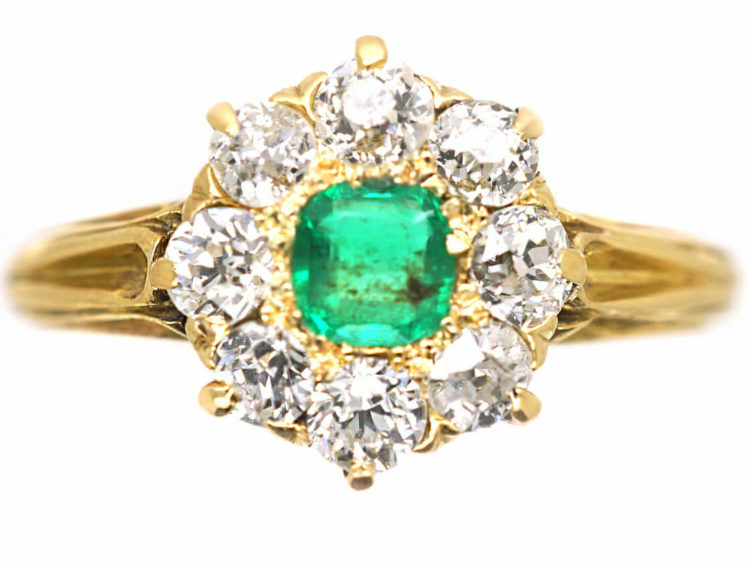 It is set with a central emerald with eight bright white diamonds around it. 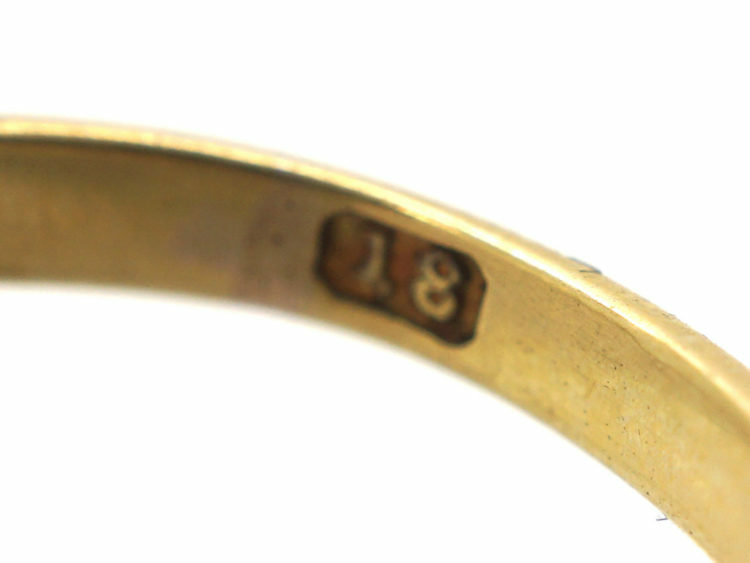 The shoulders are fluted on either side which adds a lovely detail. 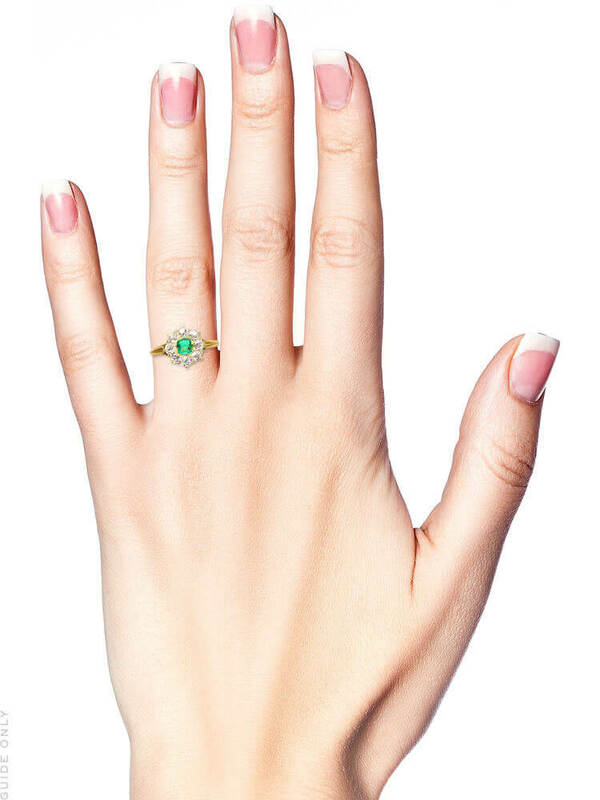 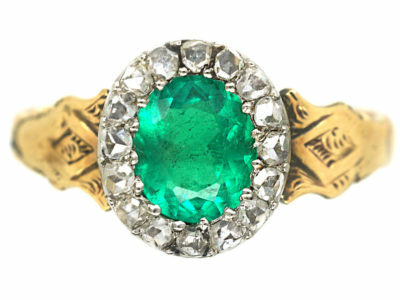 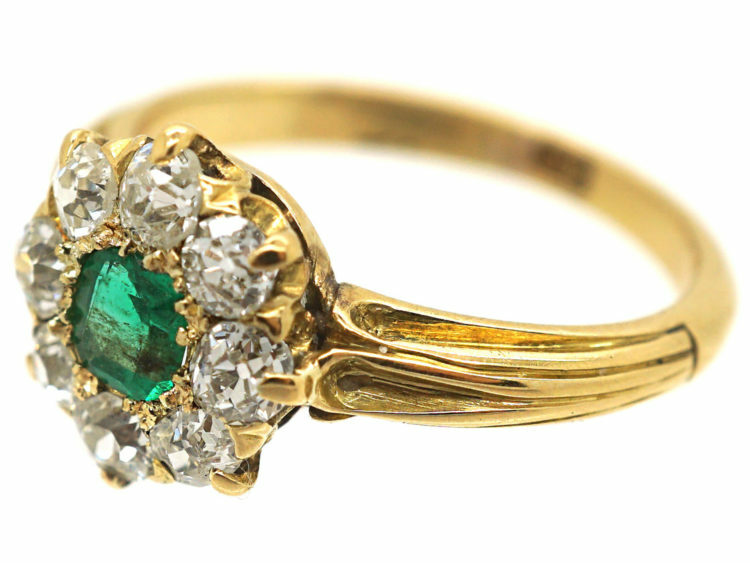 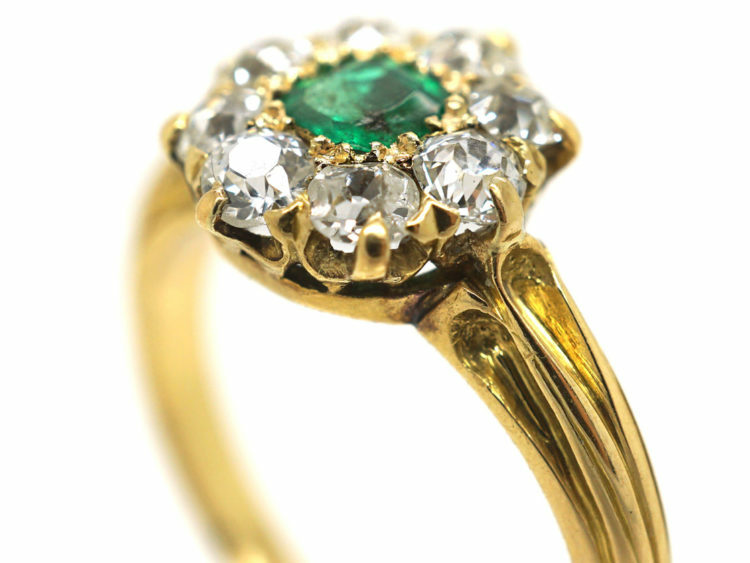 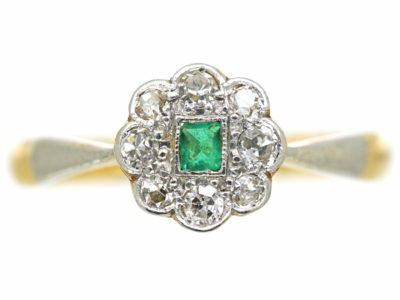 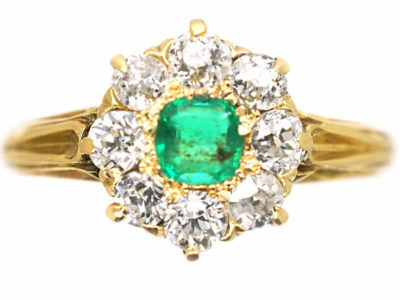 This ring would make an ideal engagement ring for emerald lovers.